Used to apply Allflex A-Tags, one-piece ear tags. 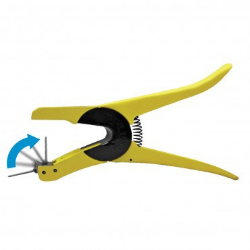 This applicator has a pivoting flip-pin for quick, efficient loading and fewer torn ears. Tag application is quick and easy.